Salem, OR – A discussion about environmental sustainability during DeSantis Landscapes’ annual strategic planning session in 2005 took an interesting turn. In addition to its longstanding commitment to natural landscaping practices, the company decided to focus on improving the environmental impact of its internal business operations, beginning with its fleet of vehicles and equipment. Results are impressive. DeSantis Landscapes has reduced its carbon dioxide emissions by more than 500,000 pounds, the equivalent of taking 45 vehicles off the road. At the same time, the company is saving money on fuel costs as petroleum prices rise, receiving tax breaks, and enhancing its reputation for environmental sustainability by placing bumper stickers promoting biodiesel use on company vehicles that have high visibility in traffic. The company’s fleet and equipment initiatives have included switching to hybrid passenger cars and smaller fuel efficient pick up trucks for executives and management team members, and using biodiesel instead of petroleum diesel for trucks, tractors, large mowers and other large equipment. Since 2005, DeSantis has avoided using more than 61,285,000 gallons of petroleum fuel for its fleet of 38 vehicles. 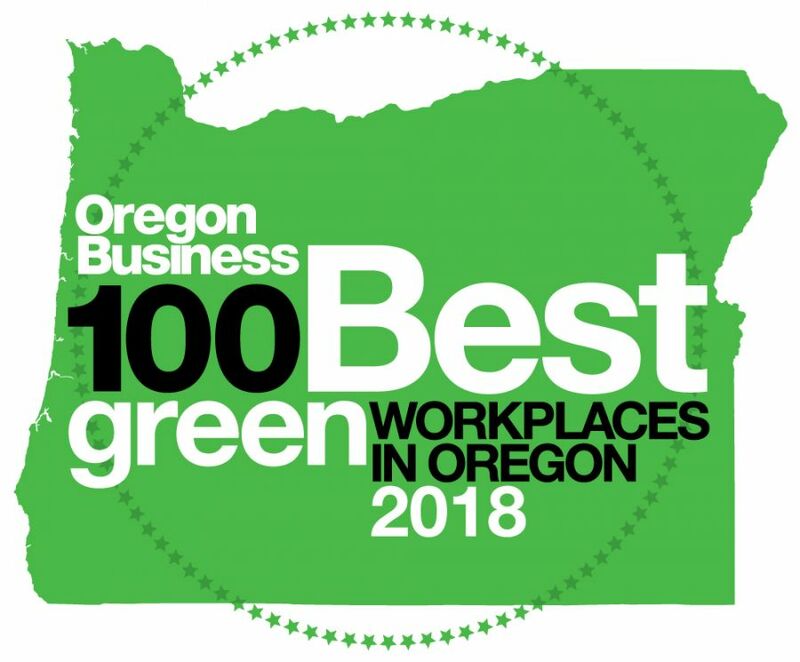 Now, working with the local Tualatin office of Enterprise Fleet Management, which specializes in meeting the needs of businesses with medium size fleets, DeSantis Landscapes is partnering tooffset 100% of its verifiable greenhouse gas emissions from its entire fleet. The program offered by Enterprise Fleet Management, an affiliate of Enterprise Holdings, Inc., which operates the Enterprise Rent-A-Car brand, is part of the company’s nationwide comprehensive environmental platform pledge to match up to $1 million of customer carbon offset purchases. Enterprise estimates that the average fleet vehicle each year will log 20,000 miles and emit anywhere from 19,000 to 27,000 pounds of carbon dioxide (CO2). Along with its commitment to environmental sustainability, DeSantis holds weekly training meetings for employees that include sessions on driving tips to conserve fuel by limiting idle time, avoiding jack rabbit starts and taking the most efficient routes between jobs. The company also has a dedicated sustainability team leader who manages its participation in the national pilotprogram, Sustainable Sites Initiative, which is a third party certification for landscapes similar to the LEED certification through the U.S. Green Building Council. In addition to the company’s fleet of vehicles and equipment, DeSantis has reduced its pesticide use and waste costs by more than 60 percent and 25 percent, respectively. The company also is developing several landscape and irrigation projects under the guidelines for LEED (Leadership in Energy and Environmental Design) certification from the United States Green Building Council. DeSantis efforts have earned a number of awards, including a Grand Award in the 2010 Annual Environmental Improvement Awards sponsored by the Professional Landcare Network (PLANET), and a Small Fleet of the Year Award from the Columbia-Willamette Clean Cities Coalition, a national organization supported by the United States Department of Energy. About DeSantis Landcapes: DeSantis Landscapes is a family-owned, nationally recognized landscape design, build and maintenance company with offices in Salem and Oregon City. The company’s award-winning services have been enjoyed by clients throughout the Willamette Valley and beyond since 1974. Its landscape projects range from commercial properties, to large private estates, to the most intimate residential gardens. In all cases, DeSantis creates balanced environments of extraordinary beauty and functionality. For more information visit www.desantislandscapes.com or call 503-364-8376. Enterprise Fleet Management, a full-service fleet management company for businesses with medium-size fleets, is an affiliate of Enterprise Holdings Inc. With 58 fully staffed offices nationwide, it supplies most makes and models of cars, light and medium duty trucks and service vehicles to businesses across the United States. In addition to winning the 2009 American Business Award for Environmental Responsibility Program of the Year, Enterprise Fleet Management supports a comprehensive set of environmental initiatives that includes helping customers purchase verifiable greenhouse gas emission offsets by pledging to match a portion of each customer’s greenhouse gas offset purchases up to a total match of $1 million. Enterprise has been recognized with the Automotive Service Excellence (ASE) “Blue Seal of Excellence” award for 13 consecutive years, an industry record. For more information, visit the company’s Web site at www.efleets.com or call toll free 1-877-23-FLEET.